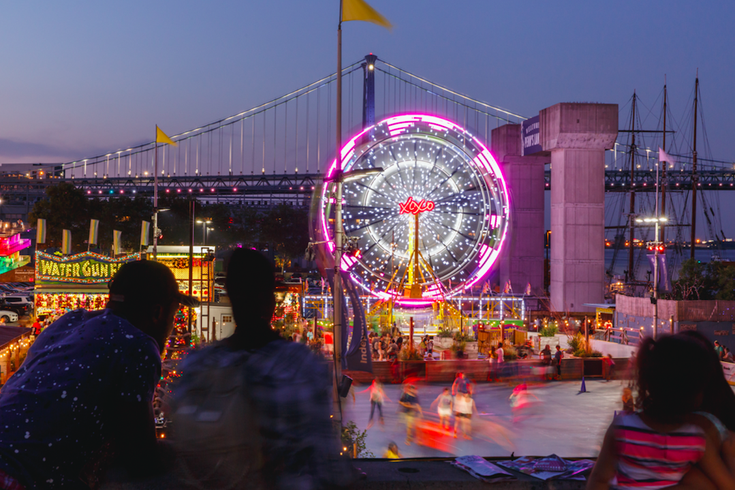 Enjoy a Ferris wheel, roller skating, mini-golf and lots of food & drink options at Blue Cross RiverRink Summerfest. Blue Cross RiverRink Summerfest, which includes a roller skating rink, Ferris wheel, boardwalk games, mini golf, an arcade and tons of food and drink options, will close for the season after Labor Day weekend. The last day to enjoy the seasonal attraction will be Monday, Sept. 3. After closing, Summerfest will transform into Winterfest, re-opening on Friday, Nov. 23. On Sunday and Monday, Summerfest is inviting the 21-plus crowd to help them clear out the remaining beer supply. From 11 a.m. to 11 p.m., all drafts will be $5. Kegs of beer from Yards, Tröegs, Fat Tire, Kona, New Belgium and more breweries need to be finished. If you end up being the one to kick the keg, you'll win a Winterfest prize package.